This beautiful twisted necklace is created using stunning 9 carat rose gold. The unique twisted chain design makes this piece stand out from the crowd, making it the perfect accessory to wear everyday and for any occasion. 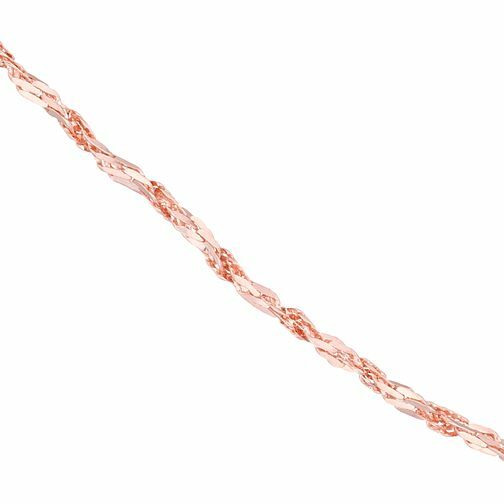 9ct Rose Gold 18" Chain Necklace is rated 5.0 out of 5 by 1.